Built by Holland Jachtbouw in 2004 and refitted in 2017 motor yacht Cassiopeia is a perfect family yacht. Designed by Candace and Bill Langan this modern classic aluminum yacht offers accommodation for up to 7 guests in 3 spacious and luxurious staterooms. She provides excellent comfort in the tastefully decorated interiors.Her recent refit and constant maintenance guarantee her immaculate condition. United Yacht Sales New Jersey would love to guide you through a personal showing of this 104' Holland Jachtbouw Cassiopeia 32m 2004. 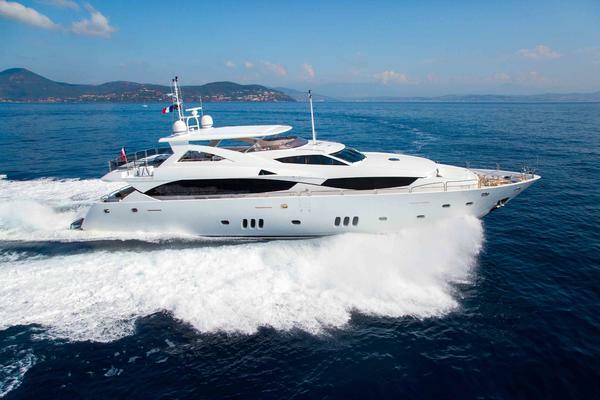 This yacht for sale is located in Unknown Italy and priced at $4,750,000. For a showing please contact us by filling out the form on this page and we will get back to you shortly!